Check out this awesome aluminum SIGG water bottle. 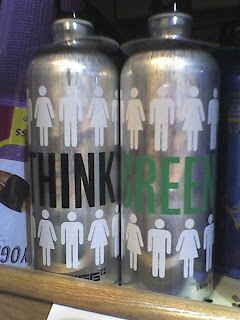 It says, "Think Green." I'd be the envy of all teachers if I had this!